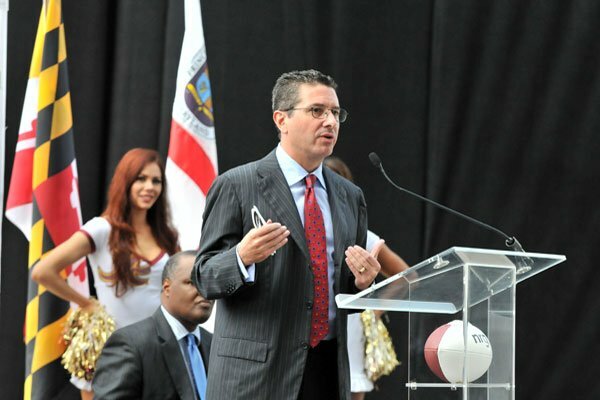 Washington Redskins owner Daniel Snyder staunchly defended his decision to keep the team’s name on Wednesday amid a growing opposition that has gathered steam after President Obama recently weighed in on the topic. In a letter to season-ticket holders, Snyder said that while he was cognizant of the criticism of the name — which many consider a disparaging term for Native Americans — the team’s tradition and legacy is too important to consider a switch. Snyder, a “lifelong” Redskins fan who purchased the team from Jack Kent Cooke for $800 million in 1999, wrote in the letter of attending his first Redskins game at 6 years old with his late father. He spoke of when the franchise in 1932, then located in Boston, changed the team name to the Redskins. The issue has always been a contentious one, but has heated up in recent years as other sports teams with nicknames deemed racially insensitive toward Native Americans have changed in an era of increased political correctness. President Obama said earlier this month that he would consider changing the name if he owned the team.